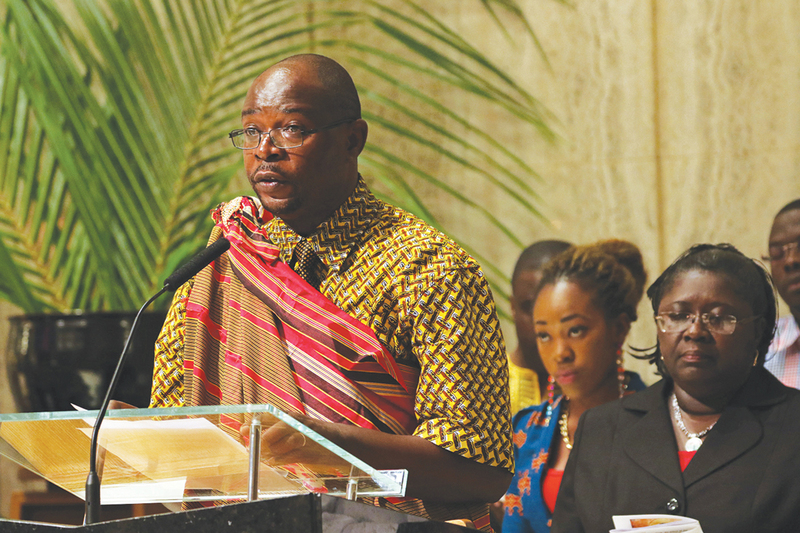 A prayer service on June 29 at Holy Family Church in New York City not only recalled the sacrifices of African martyrs in church history but also paid tribute to those who have died recently for their faith in Nigeria, Kenya and other African states. • After the U.S. Episcopal Church voted on July 1 to allow gay couples to marry in church ceremonies, Justin Welby, the archbishop of Canterbury, expressed deep concern about the stress that decision might cause within the 80 million-member worldwide Anglican Communion. • Noting his concern for average people caught up in the Greek economic crisis, Pope Francis said on July 1, “the dignity of the human person must remain at the center of any political and technical debate” aimed at ending the crisis. • As debate over the display of the Confederate battle flag in the aftermath of the Charleston shooting continued, vandals targeted monuments dedicated to the Confederacy, painting the slogan “Black lives matter” on memorials in a half-dozen states. • Louis Martin and Marie Zelie Guerin Martin, the parents of St. Thérèse of Lisieux, will be canonized at the Vatican on Oct. 18 during the Synod of Bishops’ assembly on the family. The Confederate battle flag, as I understand it, is properly used to memorialize those Americans who served in CSA forces. I have seen its use abused by radical groups. I have seen it used properly in memorial services at the Confederate Memorial in Arlington National Cemetery. Note that the Stars and Stripes are placed at each Confederate grave in Arlington National Cemetery on Memorial Day, because they also were American veterans. This article also appeared in print, under the headline "News Briefs," in the July 20-27, 2015 issue.